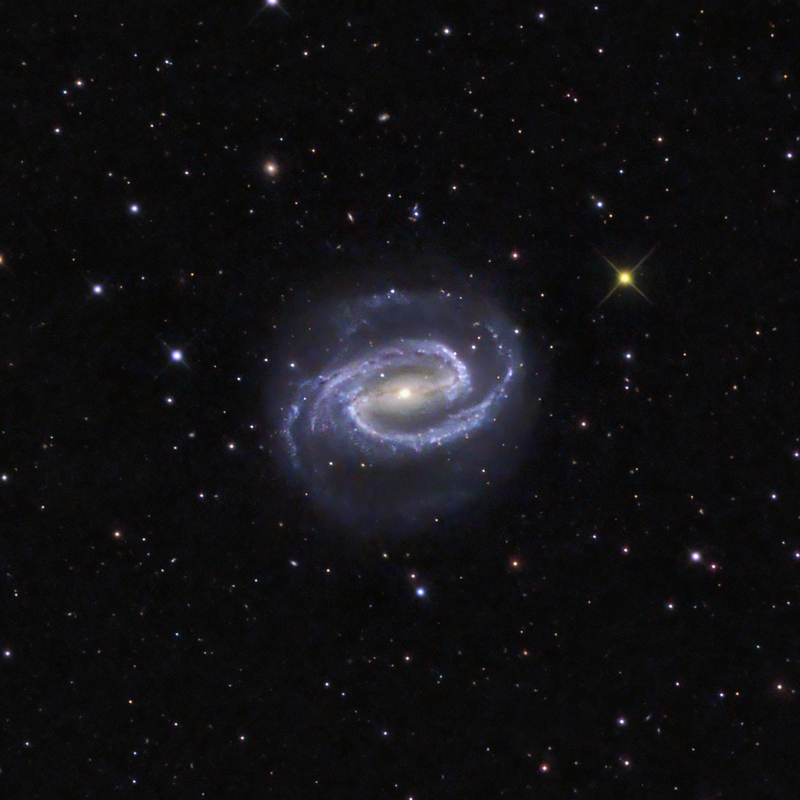 NGC 1300 is a barred, sprial galaxy in the Constellation of Eridanus and a member of the Eridanus Cluster of galaxies about 61 million light years distant. 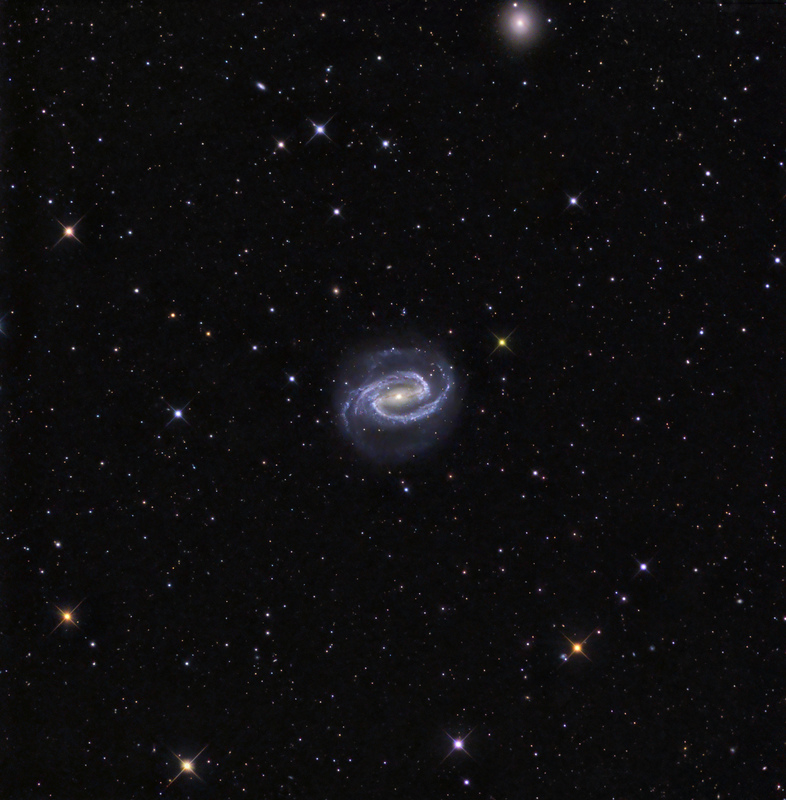 It is 100,000 light years across and is thus slightly larger than our Milky Way galaxy. The Hubble Space Telescope took an amazing image of NGC 1300 in 2004 showing structures never before seen, including a nucleus that displays a "grand design" spiral, which appears to need this large barred structure. Research shows that the galactic nucleus is not active, suggesting either no black hole or a quiescent black hole. A cropped version is presented above. The enitre field is presented below. The elliptical galaxy near the top of the image below is NGC 1297.